Two men arrested following suspicious incidents on the Isle of Wight and in the New Forest. We have arrested two men following a suspicious cold calling incident in East Cowes. 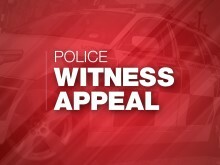 Appeal following suspected animal attack on livestock on the Isle of Wight. Officers on the Isle of Wight are investigating a suspected animal attack after a farmer found more than 20 of his sheep had died. 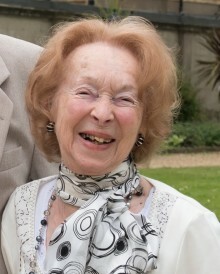 Appeal following suspicious incident in Newport. Officers in Newport are investigating a suspicious incident on Snowberry Road on Friday 24 August between 4:30pm and 5:00pm. Crime prevention advice issued following theft of bicycles on the Isle of Wight. We’re reminding residents and visitors to the Isle of Wight of our crime prevention advice following the theft of a number of high value bicycles in recent weeks. Operation Varney – Newport’s Neighbourhood Policing Team uses Facebook and Twitter to tackle anti-social behaviour in the town centre. Officers from Newport’s Neighbourhood Policing Team are planning special activities on Facebook and Twitter to promote their campaign to address anti-social behaviour in the town centre – Operation Varney. Two more post offices on the Isle of Wight adopted by Neighbourhood Policing Teams. 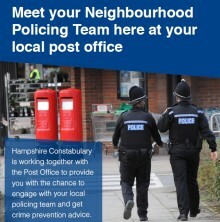 Members of the Neighbourhood Policing Team in Ryde are adopting two Post Office’s in the town. 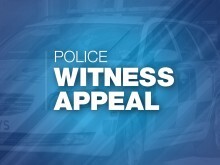 ​We are investigating a serious assault which took place in Cowes in the early hours of this morning. We are appealing for information following a report of an assault on a 34-year-old woman in Trafalgar Road, Newport. Officers are currently at the scene of a light aircraft crash on the Isle of Wight. Here's your chance to get involved with policing on the Isle of Wight. 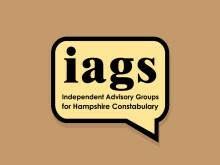 Officers from the Isle of Wight’s Neighbourhood Policing Teams (NPT) are looking for volunteers to sit on our Independent Advisory Groups (IAG’s). It is one of the busiest weeks of the year for the Island. 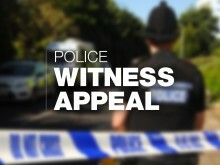 ​We are appealing for witnesses after a 30-year-old man was seriously assaulted by two men on Friday 15 June in the area of Nine Acres Lane. 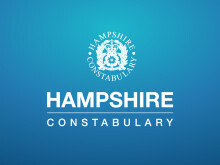 ​£1.2 million of fraud has been prevented and eight immediate arrests made by Hampshire Constabulary thanks to the introduction of the Banking Protocol. 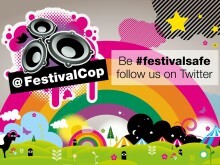 ​A dedicated policing plan is in place to ensure residents and visitors stay safe on the Isle of Wight during this year’s Festival season.